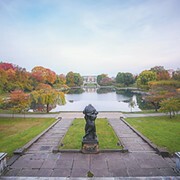 A summer tradition, Wade Oval Wednesday, which takes place every Wednesday from 6 to 9 p.m. at Wade Oval in University Circle, provides the opportunity to catch a free concert — jazz, swing, world music, and more. 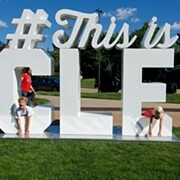 Between sets, you can check out the local food vendors, the beer and wine tent, the farmers’ market, and free kid activities — all laid out on the Wade Oval lawn that's adjacent to Cleveland Botanical Garden, the Cleveland Art Museum, and the Cleveland Natural History Museum. Earlier today, University Circle Inc. (UCI) announced the lineup for 2017. This year, UCI will once again host a fireworks display after the music on June 28. On July 26, the group has partnered with University Hospitals and the Cleveland Clinic for Healthy WOW! Night along with ADA Cleveland Night.